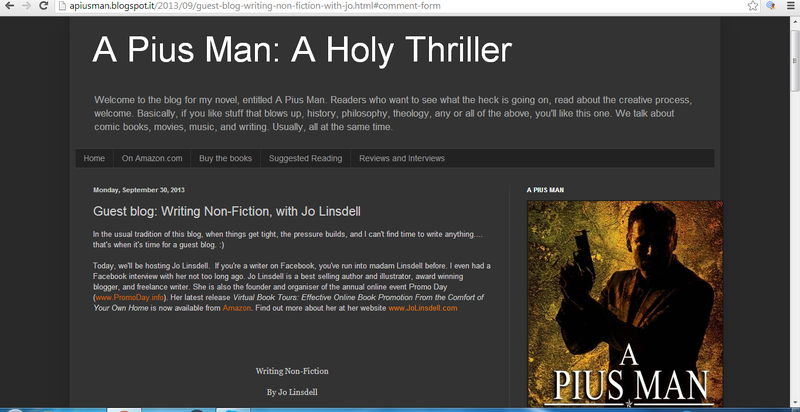 Today I'm guest blogging at http://apiusman.blogspot.it/2013/09/guest-blog-writing-non-fiction-with-jo.html about writing non fiction. 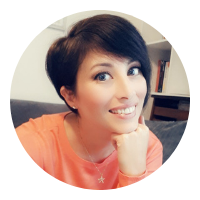 In the post I take you through how I wrote Virtual Book Tours: Effective Online Book Promotion From The Comfort of Your Own Home. 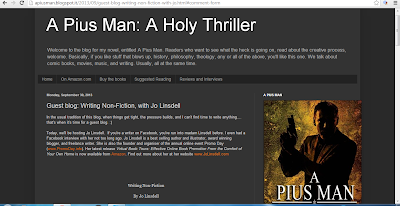 Drop by and leave a comment with your take on non fiction books. Thanks again for your continued support. This book is a huge success and I'm very grateful to everyone for helping spread the word about it, taking the time to comment on my tour stops and leave reviews, and for giving it your vote. You are all amazing!